Visiting Melbourne and looking for a place to swim? Nice choice! Don't forget to tell us how did it go. 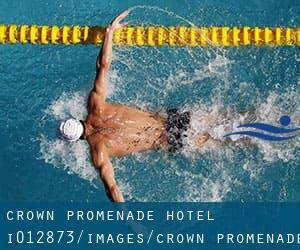 Introducing now Crown Promenade Hotel swimming pool, a great swimming pool sent by a swimmer like you few days ago. Have you visit this pool? Do you work here? Please, contact us if you have facts that you simply feel is gonna be useful and bear in mind from now on you possibly can now promote every pool just by sharing this page together with your friends or adding comments within the Facebook boxes below. Come on and help this pool to be the very first in Melbourne! Among all the activities offered by the centre, if you are interested in swimming you might enjoy 25 meters, Indoors. Just in case you want to get in touch with this Pool before dropping by, we only know the phone number. Updated on 2019 14 Dawson Street , Brunswick , Melbourne Metropolitan Area , VIC , AUSTRALIA (Postal Code: 3056). This great and large sports centre lets professional swimmers like you enjoy Olympic size, 8 lanes, 0.7 meters - 5 meters depth, 0.7 meters - 5 meters depth, Non-Chlorine Sanitized, Outdoors. Additionally, within these facilities you can try 25 yards, 0.7 meters - 1.5 meters depth, 0.7 meters - 1.5 meters depth, Indoors. Unfortunately we do not have the email address of this Swimming Pool, but we can provide you with the phone number. Updated on 2019 Punt Road , Windsor , Melbourne Metropolitan Area , VIC , AUSTRALIA (Postal Code: 3181). Among all of the activities offered by the centre, should you be interested in swimming you may enjoy 25 meters, 6 lanes, Indoors. Updated on 2019 150 Tulip Street , Cheltenham , Melbourne Metropolitan Area , VIC , AUSTRALIA (Postal Code: 3192). Swimmers like you reported 25 meters, Indoors. Phone number and e-mail address are number for this Swimming Pool. Updated on 2019 139 - 153 Williamsons Road , Doncaster , Melbourne Metropolitan Area , VIC , AUSTRALIA (Postal Code: 3108). Few days ago a regular user of this centre told us they offer Olympic size, 8 lanes, Outdoors. Furthermore, they keep in good conditions 25 meters, 8 lanes, Indoors. Contact information for this Pool similar to phone number and email address are number. Gleadall Street , Richmond , Melbourne Metropolitan Area , VIC , AUSTRALIA (Postal Code: 3121). Among all the activities provided by the centre, if you are enthusiastic about swimming you will get pleasure from Olympic size, 8 lanes, Indoors. If you need to get in touch with this Swimming Pool, e-mail address and phone number are both number. Updated on 2019 Bridges Reserve, Bell Street , Coburg , Melbourne Metropolitan Area , VIC , AUSTRALIA (Postal Code: 3058). Among all the activities offered by the centre, for anyone who is interested in swimming you are going to enjoy 25 meters, 6 lanes, Indoors. If you will need to contact this Swimming Pool, email address and phone number are both number. Cooke Street , Clayton , Melbourne Metropolitan Area , VIC , AUSTRALIA (Postal Code: 3168). Among all the activities offered by the centre, if you are interested in swimming you'll enjoy 25 meters, 6 lanes, 1 meters - 1.64 meters depth, 1 meters - 1.64 meters depth, Indoors. If you'll want to get in touch with this Swimming Pool, email address and phone number are both number. Updated on 2019 79-83 Jukes Road , Fawkner , Melbourne Metropolitan Area , VIC , AUSTRALIA (Postal Code: 3060). Swimmers like you reported 25 meters, 6 lanes, Indoors. Phone number and e-mail address are number for this Pool. Wellington Road , Monash University (formerly Clayton) , Melbourne Metropolitan Area , VIC , AUSTRALIA (Postal Code: 3800). This great and large sports centre lets professional swimmers like you enjoy 25 meters x 12 meters, 6 lanes, Indoors. Additionally, within these facilities you can try 25 meters x 10 meters, 6 lanes, Indoors. Unfortunately we do not have the email address of this Swimming Pool, but we can provide you with the phone number. 258 Scoresby Road , Boronia , Melbourne Metropolitan Area , VIC , AUSTRALIA (Postal Code: 3155). Among all the activities offered by the centre, for anyone who is interested in swimming you are going to enjoy 25 meters, Indoors. If you will need to contact this Swimming Pool, email address and phone number are both number. Near Car Park 6, South of Kingsbury Drive , Bundoora , Melbourne Metropolitan Area , VIC , AUSTRALIA (Postal Code: 3083). Among all the activities offered by the centre, if you are interested in swimming you'll enjoy 25 meters, Indoors. Just in case you wish to get in touch with this Swimming Pool before dropping by, we only know the phone number. 40 Brougham Street , Eltham , Melbourne Metropolitan Area , VIC , AUSTRALIA (Postal Code: 3095). Swimmers like you reported 25 meters, Indoors. Phone number and e-mail address are number for this Pool. 63 Scott Street , Dandenong , Melbourne Metropolitan Area , VIC , AUSTRALIA (Postal Code: 3175). This sports centre offers 24 meters, 5 lanes, Indoors. Contact information for this Swimming Pool similar to phone number and e-mail address are number. 8 Warner Avenue , Ashburton , Melbourne Metropolitan Area , VIC , AUSTRALIA (Postal Code: 3147). This great and large sports centre lets professional swimmers like you enjoy 25 meters, 8 lanes, Outdoors. Additionally, within these facilities you can try 25 meters, 8 lanes, Indoors. Phone number and e-mail address are number for this Pool. Updated on 2019 Taylors Road , St. Albans , Melbourne Metropolitan Area , VIC , AUSTRALIA (Postal Code: 3021). Among all the activities offered by the centre, if you are interested in swimming you'll enjoy 25 meters, Indoors. If you'll want to get in touch with this Swimming Pool, email address and phone number are both number.